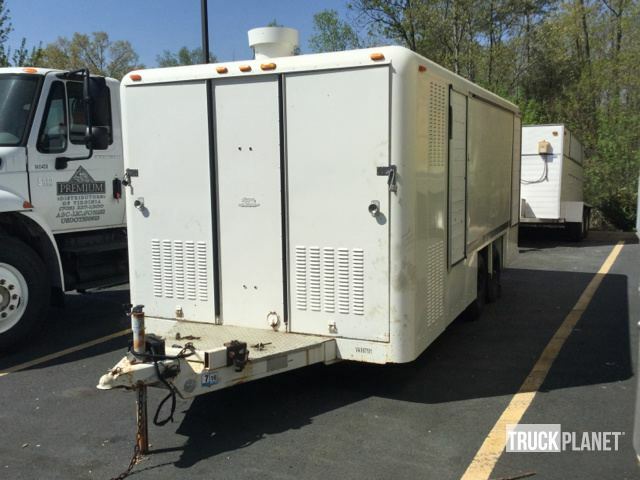 Buy and sell unused and used Beverage Trailers at IronPlanet. Beverage Trailers are typically haul by Truck Tractors, and differ from other Van Trailers in that they come equipped with several outward facing doors, each with it's own compartment. Browse Beverage Trailers from top manufacturers including Hackney Beverage Trailers, Hesse Beverage Trailers and others. And for your smaller beverage hauls, be sure to check out our Beverage Truck inventory. Find IronPlanet and Ritchie Bros. Auctioneers' current Beverage Trailer inventory below, and see what Beverage Trailers are for sale around you. 11,160 lb. GVWR, 21’ Overall Length x 90” Overall Width, Electric Brakes, 8-14.5 Tires, Ball HitchThis item appears to be generally complete but was not functionally checked. Seller Supplied Information: The inclusion of any pictured add on components has not been confirmed. The current physical and/or operating condition of the unit has not been verified by IronPlanet.